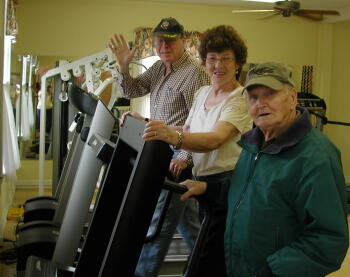 Commercial grade fitness equipment is housed in the Senior Centers in Louisburg and Franklinton. This equipment includes: treadmills, step machines, recumbent bikes, swinn bikes, weight machines and leg press. This equipment is used daily by older adults. Trained volunteers teach several group fitness classes weekly.